Princeton Home and Primary Care P.C. I hope you have enjoyed your Thanksgiving holiday together with your family. I have been honored to have cared for you over the past several years. It is with great sadness that I announce that my practice will no longer be seeing patients after December 31, 2016. I have been presented with an opportunity that I could not turn down. An opportunity to ensure that thousands of patients can receive palliative care services in their homes, with a humane holistic approach to their care. Unfortunately, I will not be able to continue with my practice as the demands of my new position will not permit me to do so. However, after reaching out to many local providers, I have found a few other practices in the area who are willing to do house calls and will be happy to see my patients.! Please reach out to them to set up your next appointment as soon as possible so that we can send your medical records to your new provider before the practice closes on December 31, 2016. If you are interested in having follow up with nurse practitioner, Tracy Mount, please inquire when you make your next appointment with one of the provider practices below. Dr. Kaushal Nanavati- 609-448-4600, 240 Easton Ave, New Brunswick, NJ 08901! If you have any questions, please email frontdesk@princetonhomedoc.com or call our office at 609-936-0958 before December 30. You can obtain a copy of your medical records after this date as well by sending a request to this email address, or by leaving a message at that number. Should you require emergency care or services, including the provision of necessary prescriptions, during the next 30 days, please contact the office as you normally would, or call 911 for a true medical emergency. It has been our honor being part of your medical care over the past ten plus years. You have enriched our lives with your stories. 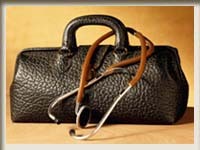 Exceptional Medical Care for the Aging Patient... in YOUR HOME! Copyright 2015 Princeton Home and Primary Care P.C.. All rights reserved.